Nails Inc is the nail brand for those who love to be fashion forward yet are strapped for time. 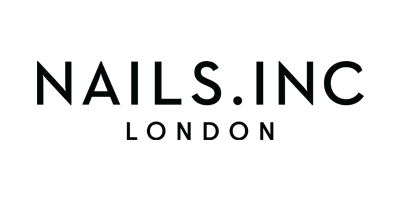 Founded in 1999, this once small British brand was launched by Thea Green – a young entrepreneur who spotted a gap in the UK market for professional high-quality manicures while working as fashion editor for Tatler. Since launching, Nails Inc has become a cult collection and the go-to for all that are nail obsessed. Having scooped up endless awards for their renowned catwalk colours, fashion collaborations, innovative special effects and immaculate manicures, it comes as no surprise that they are the UK’s number one nail bar chain with salons across the country - they even take to the backstage of high profile fashion shows, helping the likes of Alexa Chung, Victoria Beckham and Poppy Delevingne get catwalk ready. Boasting a product line with over 150 colours, the latest professional technologies and award-winning Gel Effect formulations, Nails Inc provides only the best for the best.